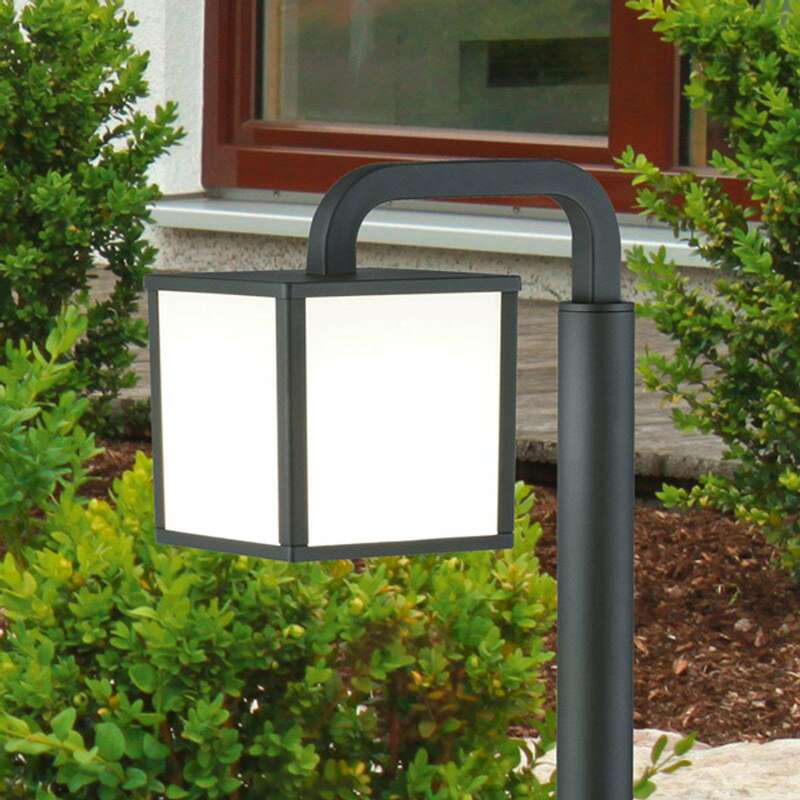 The LED path light Cubango is made in the all-new shape of the lantern. 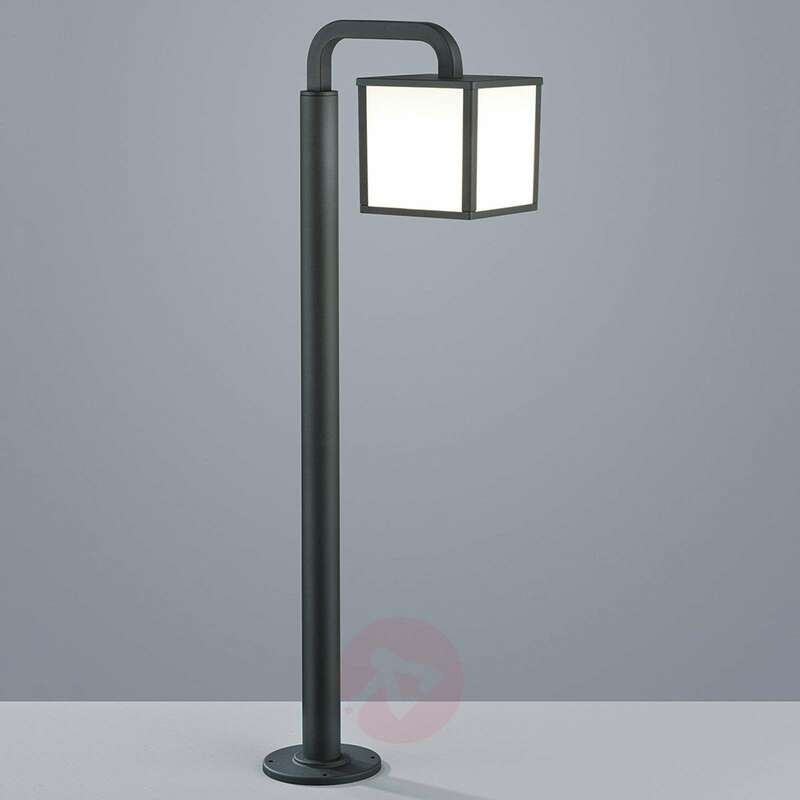 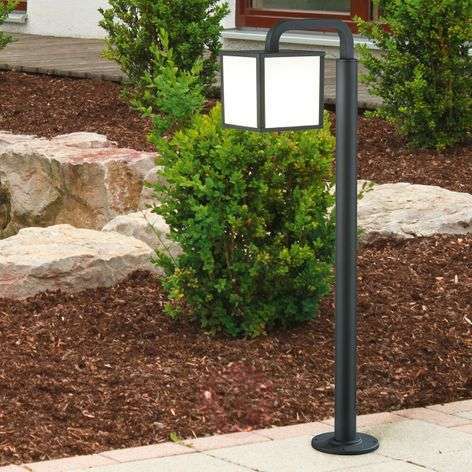 The beautiful path light is absolutely up-to-date in terms of its shape and lighting technology. 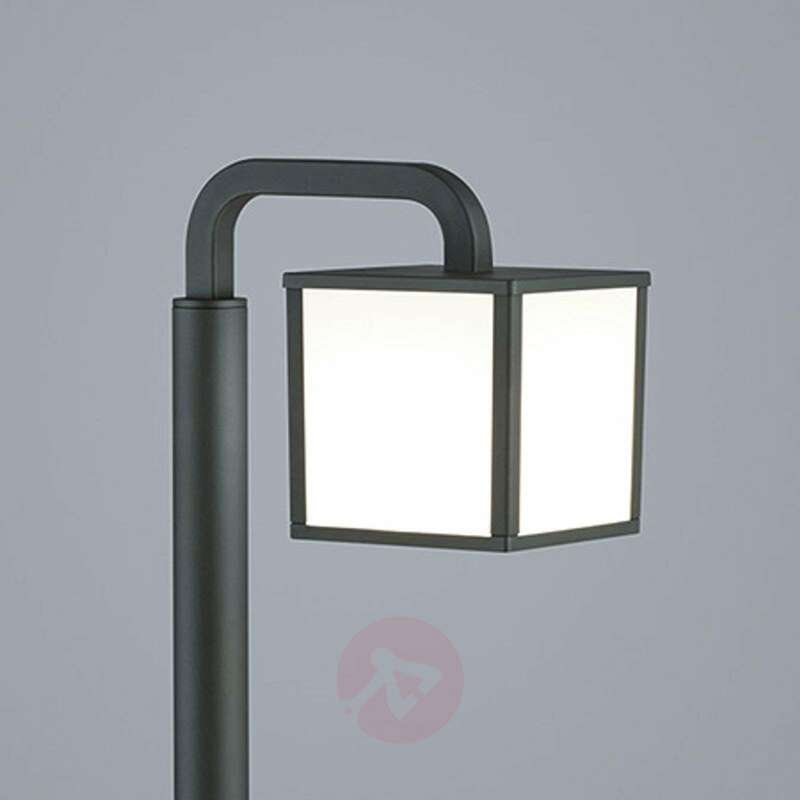 All metal parts of the light are made of high-quality, powder-coated die-cast aluminium in anthracite colour, the cube-shaped lampshade made of plastic allows the light of the replaceable LED light bulb with E27 socket to shine on all sides without glare.